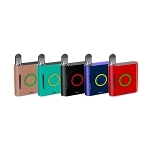 The HELOS Mini is the travel friendly micro style vaporizer pen from eDab, which uses their advanced glass globe cartridge for use with waxes and essential oils at home or on the go. 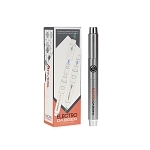 The kit includes 2 complete HELOS Mini pens, each with a rechargeable micro style battery, advanced borosilicate glass globe cartridge, and replaceable waxy oil atomizer for fast and affordable upkeep. The eDab HELOS Mini kit comes with 2 sets of eNail atomizers that feature an enlarged ceramic bowl for easy loading and 2 eFunnel atomizers that use a stainless steel cone to direct any extra material onto the atomizer, where it belongs. 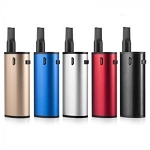 The HELOS Mini is powered by a rechargeable micro style battery, which is extremely travel friendly and offers up to 6 hours of continuous use from each charge. You can recharge your HELOS Mini using the included USB and wall adapter in any computer port or standard wall outlet, so your pen is always ready to vape when you are. 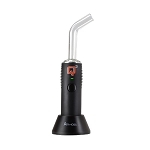 Whether you are new to oil vaporization or an advanced veteran, the HELOS Mini is sure to be able to effortlessly handle your wax and essential oil vaporization needs, no matter where you are.